On Oct 1., school librarians and educational stakeholders in New York attended a workshop dedicated to unpacking the provisions for school libraries in the Every Student Succeeds Act (ESSA). 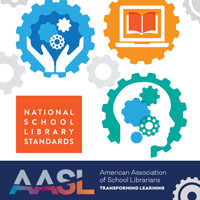 Presented by the American Association of School Librarians (AASL), the complimentary workshops are part of an outreach effort to AASL state affiliates to highlight opportunities within ESSA language for school librarians and school libraries to be addressed in state and local plans. John Brock, associate in school library services with the New York State Department of Education (NYSED), and an internal participant in the NYSED ESSA ‘Think Tank’, was invited by the New York Library Association – SSL to provide an overview of the process the state education agency is following for development of the New York state ESSA Plan and discussion of the work to date. Brock was joined by Penny Sweeny, school librarian with the Liverpool Central School District and Dianna Wendell, school library system director with the Madison Oneida BOCES. Sara Kelly Johns, an AASL past president, facilitated the workshop. Presented in collaboration with the ALA Office for Library Advocacy and the ALA Washington Office, AASL estimates the ESSA workshops will reach 1,500 stakeholders nation-wide. Workshops include the most current information on developments at the Federal level and work through the titles in ESSA that can be directly linked to the school librarian and school library program. 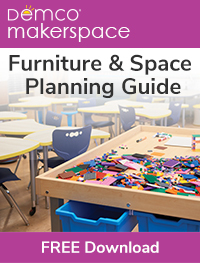 “School librarians in New York are already actively engaged in work to ensure that they are explicitly included in the state plan,” said Susan Polos, president of the NYLA section of school librarians. “This workshop allowed leadership to disseminate ongoing efforts and build momentum so that all our New York school librarians are informed advocates for the profession. The workshops are made possible through matching funds provided by Follett School Solutions. 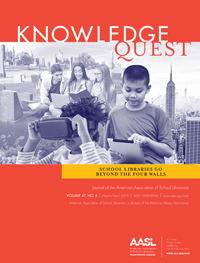 A growing list of participating state school library associations can be found at essa.aasl.org.